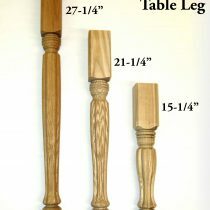 Table or furniture leg made of hard maple or ash. Measures 7″ x 1-3/4″ . 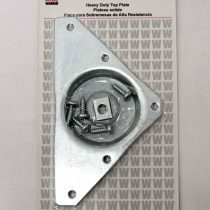 Installs quickly to a straight top or dual top plate. 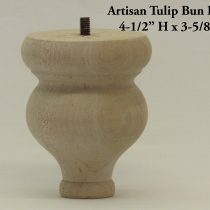 Furniture grade artesian tulip bun foot measures 3-5/8″ tall by 4-1/2″ wide. Sold individually in store or by the pair online. Furniture grade pine butcher block table legs available individually in store or by the pair online. Choose unfinished or pre-finished in Pine White Minwax® stain. Available in 29″ or 35″ lengths. 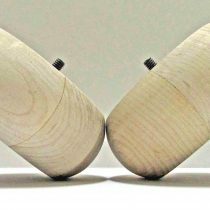 Furniture grade contemporary bun foot measures 3″ tall by 3-1/2″ wide. Sold individually in store or by the pair online. 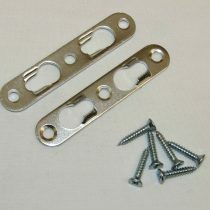 Hardware designed to help mount square top furniture legs. 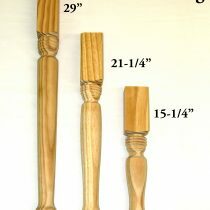 Measures 2-5/8″ wide by 1-1/2″ tall. Furniture grade ash country french table legs available individually in store or by the pair online. Available in several lengths: 15-1/4″, 21-1/4″, and 27-1/4″. 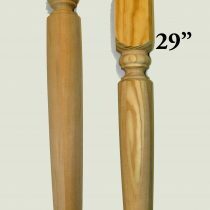 Furniture grade country table legs available individually in store or by the pair online. Available in several lengths: 15-1/4″, 21-1/4″, and 29″. 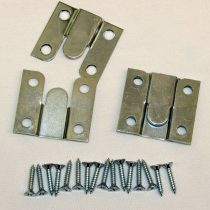 Hardware for mounting heavy or large shelving. Sold by the pair. Hardware for mounting pictures securely to wall. Available in two sizes. 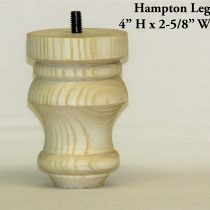 Furniture grade Hampton leg measures 4″ tall by 2-5/8″ wide. Sold individually in store or by the pair online. 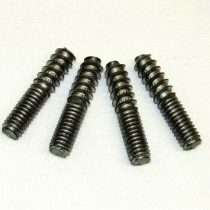 Steel fastener used for mounting shelves or brackets. 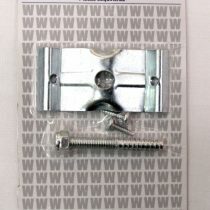 Measures 1/2″ x 1-3/4″. 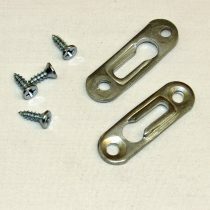 2 keyhole fasteners and 4 screws per package. Hardware designed to give more support for larger or heavier table legs. Measures 3″ wide by 5-1/2″ tall. 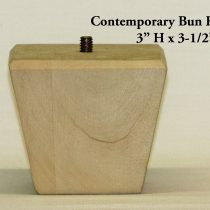 Large bun foot available in ash, pine, or maple. 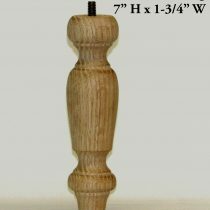 Measures 2-1/4″ tall by 4-5/8″ wide. Sold individually in store or by the pair online. 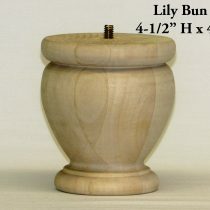 Furniture grade lily bun foot measures 4-1/2″ tall by 4″ wide. Sold individually in store or by the pair online. 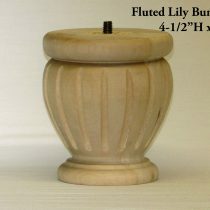 Furniture grade lily fluted bun foot measures 4-1/2″ tall by 4″ wide. Sold individually in store or by the pair online.